OK, so standard enemies can't have carrier or else it'll crash. I tried making the only standard race have carrier & singleseat tags, and the game keeps crashing out. I also had a fully normal standard race and one with carrier and singleseat, and it still crashed. I had a race with mixed carrier and small enemies and crash. Boo. So, FYI. Also, a few tags have changed for 2.6, which I'll be updating. In 2.6, all carrier launched ships are tagged with singleseat, including Arvonian fighters. This has functionally replaced fighter - fighter has been repurposed as a player singleseat differentiator (currently there's fighter and shuttle, but I suspect more types will be coming). All enemy singleseat craft are functionally fighter types. Forgive if this has been asked before, but aside from the XML files, what other programs are needed to create new maps? Thanks. As I stated in my Mass Effect post, I want to make an explore-able/defend-able galactic map based on the trilogy. The basic tool needed for making maps is the xml editor, since the map is made in the mission file itself. I'd STRONGLY encourage the use of the Mission Editor for making the maps, though - it has a visual map editor mode that is awesome. Even if you hand code the rest of the missions, I'd really suggest laying it out in that. I have looked up the video tutorials for the map editor, and I made some great progress. My next step is figuring out how to add planets (even if they're static generic objects) and how to be able to travel back and forth between sectors/clusters via traveling over the edge or using a Mass Relay (a gateway floating in space). I've also used your tutorial at the beginning of this thread, to modify/create new hullRaces based on the Mass Effect trilogy. I'll move onto ships, once I find the proper ship/station models to convert into Artemis format. So...I found a Normandy mesh, which I used 3D Object Converter to turn into an .obj file. For some reason when I import it to DeleD to convert to .dxs, the ship is turned around wrong. LOL. What did I do wrong? I imported it anyways to ShipBuilder, where it still masterfully created the interior section. But, it also creates an issue that this mesh actually requires several textures instead of one. LOL. Ack, sorry I missed this! Different model programs use different axes as "up" and "forward", so when converting the program will use whatever axis it prefers. Easy enough to rotate as needed. OK, working on updating this for 2.7.0 - covered the updates to torpedoes and probes. I think that's actually most of it, from a Mod perspective. So, I figured I'd add my findings to this thread. And if Mark feels they warrant a mention in his modding notes, I'm sure he will add them appropriately. I have found that Artemis 2.7.0 stopped displaying firing arcs for beam_ports at 38. I'm not sure if the game just stopped displaying them or if the existence of additional beam_ports will be ignored altogether. When you select an enemy, Artemis will go through every beam_port, top to bottom, and fire them if the firing arc and range covers the selected enemy's position. This means that if you want your beams to fire in a specific order you need to list them accordingly. This especially counts for multiple sets of beam_ports with identical coordinates and arcwidths. There is nothing stopping you from having overlaying beam_ports (i.e. beam_ports that share identical coordinates and arcwidths). Just keep in mind that they will look like a single firing arc and for the weapons console there is no way of telling how many beam_ports a ship has unless you actually fire them all and count along. For rapid fire to work, you will have to adjust beam damage and cycletime to make sure you get the proper feel. For example, for burst fire you could place 16 beam_ports on top of each other. If the beamDelay (in artemis.ini) is set to the 0.3 default, then you're going to fire one shot every 0.3 seconds. 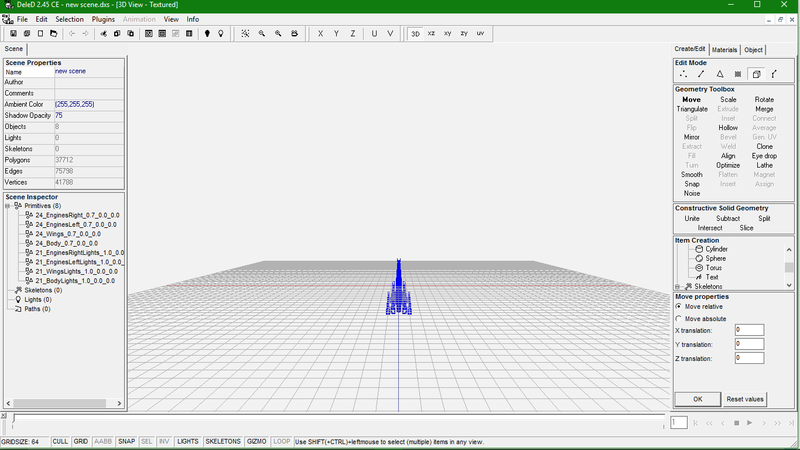 Try setting beamDelay to 0.1 secs, and set each cycletime to 2.0 seconds. This way you're going to fire a 1.5 second burst, followed by a 0.5 second pause (or reload). Note that multiple machine gun turrets like this can mess each other up if their firing arcs overlap; unless you put them in the right order in the vesselData.xml. Make sure you adjust beam damage accordingly. Same with the energy cost, because that's per beam. To understand this, simply take a closer look at the light cruiser's standard beam weapon: 12 damage per shot, cycletime of 6.0 seconds = 2 damage per second per beam. Once you up this to 11 or 16 beam_ports, and assuming you didn't change the damage of 12 and the cycletime of 6.0 seconds, you're going to dish out a whopping total of 22 damage (for 11 beam_ports) or 32 damage (for 16) per second per beam. A light cruiser's standard shield strength of 80 points is not going to hold up very long. The same concept applies to energy usage. For each fired beam, the game deducts the energy. Rapid fire is going to deplete your energy reserves that mugh faster unless you compensate by reducing energy usage.